Toast is a talented team of video production and advertising specialists, dedicated to helping your business creatively stand out from your competitors. We specialise in branded content, television commercial production, television media buying, and motion graphics. We know what works to elevate your brand, and we’re not afraid to scare you a little if it will help your business succeed. These are the reasons we decided to join Clutch, an online platform whose mission is to identify the best B2B agencies and help them to be seen by buyers who need their services. 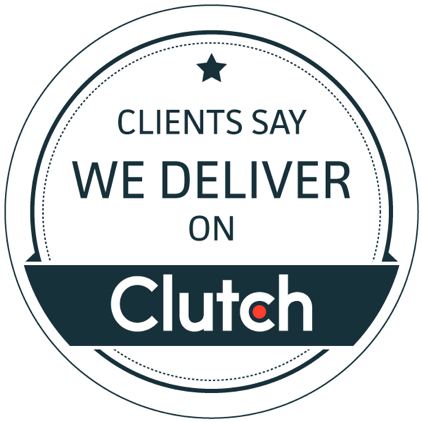 Clutch publishes validated reviews from clients who have worked with the agencies listed on their site. The reviews, along with an internal evaluation of each company’s market presence, are what form their rankings and enable some companies to be listed above others. We are so excited that since joining Clutch, we’ve received our first 5-star review, and we’ve climbed in their ranking of the best advertising agencies in the UK in 2018. Participating in Clutch’s research and gaining direct feedback from our clients has already proven to be a worthwhile experience for Toast. We’re even featured on their sister-site, The Manifest, as one of the best media buying companies in 2018! Having a strong brand is what distinguishes one business from another. At Toast, we know why it’s important to allocate resources to brand building, which is why we’re so proud of the work we’ve completed for our partners. And, it’s why we’re very proud of our feature on Clutch & The Manifest and we look forward to continuing to develop our presence on these platforms as projects wrap up and new partnerships begin!